In Ideography, dancer and choreographer Noé Soulier links the philosophical to the artistic, exploring the relations between movements and thoughts. Far from defending a thesis, he engages the audience in a thought experiment structured around dramaturgical principles (rhythm of speech, expectations, etc.). 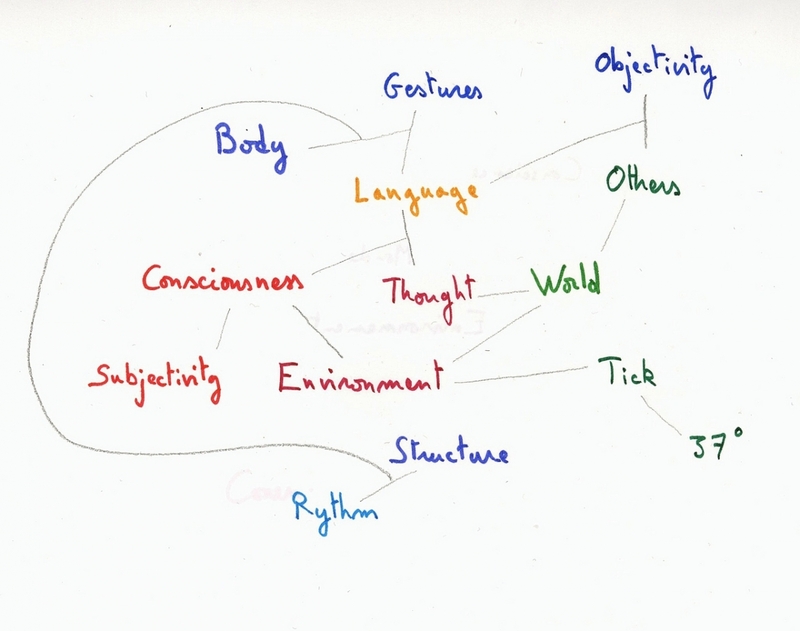 The resulting polyphony of thoughts is an opportunity to revisit classical theoretical discourse through the live experience of a construction in progress. Ideography is created by Noé Soulier and his audience. his Master’s degree in philosophy at the Sorbonne. During his time at PARTS he was active as a performer in the work of Daniel Linehan a.o. His own work includes the solo The Kingdom of Shades and the trio Little Perceptions. With Little Perceptions he was laureate of the first prize of the Danse Élargie competition in June 2010, organized by Le Théâtre de la Ville – Paris and Le Musée de la Danse – Rennes.